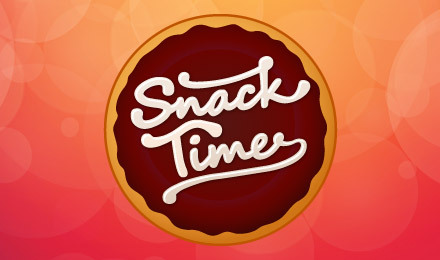 Snack Time jackpot slots | Pick Me Bonus + FREE Spins! Munch on tasty bonuses when you play Snack Time jackpot slots! Play the Pick me Bonus to win Multiplier prizes and have a chance at 2 amazing progressive jackpots! Start snacking on the tastiest prizes when you play Snack Time jackpot slots! This slot has TWO progressive jackpots, Yummy and Delicious, which are awarded randomly! The graphics are adorable with a vending machine offering up snack symbols! There is a unique payline structure where winning lines are paid out in Tetris-like combinations! There is room for more than one winning combo on the reels at once and you’ll be rewarded with free spins if you land more than one at a time! Look out for the red question mark symbols on reels 1 and 5 –they’ll trigger a Pick Me bonus game with multiplier prizes!